These results ensured Lancaster’s progression into the Champions Cup semi-finals, whilst Quernmore’s result against Loko meant that they would be contesting the League Cup semi-finals. Both games were unfortunately called off from Group B, meaning teams had to wait before learning of their opponents in the semi-finals. The results in group B ensured for a climactic ending to the group stages, with everything still to play for in Group B, whilst in Group A, the results meant that Loko and Accrington were in a straight play off for second place in group A. Adding extra excitement to the games the following weekend, last seasons great rivals Wray and Great Ecc were playing each other, whilst Fulwood and Moorlands were playing each other, with all four teams in with a chance of qualifying for the Champions Cup semi finals. First leg is played on the 16th February, second leg is the 9th March. 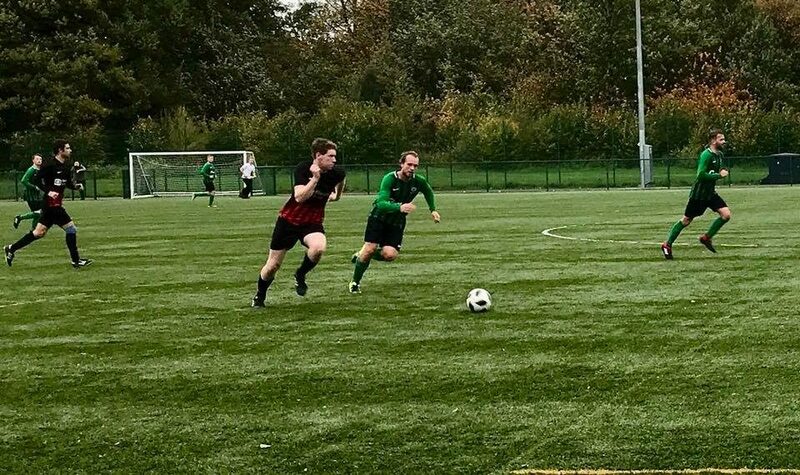 Finally, league action returned this weekend, with another 3 exciting games happening, especially as the terrible weather conditions added an extra dimension to the games. In the early kick off, Moorlands faced Lancaster. Moorlands took an early lead in the game, with man of the match Max Ward coolly slotting home after rounding the Lancaster keeper, giving them a 1-0 lead at half time. Into the second half and Lancaster soon found themselves level, as Jonny Sudell grabbed an early goal. However, two minutes later Moorlands were back ahead as Nick Grundy grabbed his tenth goal of the season. But, there was to be a late twist in the game as minutes from the end of the game Lancaster defender Lewis fired home for the away side to grab a deserved draw. The two later games both kicked off at 2pm, with Quernmore making the short trip to Carnforth to play Loko and Fulwood making the even shorter trip to face Great Ecc. In a tough, back and forth game, Quernmore came out on top. Loko made the brighter start, forcing some good saves out of Quernmore keeper James Smith. However, Quernmore defended well and began to make some chances of their own, with the partnership of brothers Joe and Jordan Yates a real asset for the away side. Another asset for the away side were the deliveries of winger Tom Kelsall, which led to the first goal. After a corner was cleared by the home team, Kelsall delivered another wonderful ball into the box, which was headed home by striker Joe Yates. Into the second half and both the pitch and weather were getting worse, players slipping and sliding all over! However, Loko continued to press, looking to find the equalizing goal, but them simply could not find a way through, their attempts on goal either being blocked or saved or wide of the goal. As Loko tried harder to get a goal, they left gaps in defence and Quernmore’s pacy front four took advantage of this, spurning some great chances to extend their lead. As the game was drawing to a close, Quernmore finally wrapped all three points up, this time Jordan Yates firing home after clever work from both Tom Kelsall and James Sutton in the build up. The third game of the day was a high scoring affair, much different to the other two. Great Ecc, bound to be buoyed by their result against Wray last week, faced a Fulwood team, who on their day could cause an upset against Great Ecc, but without their strongest team, they were going to struggle. This was seen in the game as Great Ecc ran riot and fired home 8 goals through the course of the game, with the potential for many more with the sheer number of chances they had. Both Jack Sharples and Jon Jeffries grabbed themselves hattricks during the game, whilst Tom Shields and Sam Hogarth got themselves a goal each to ensure victory. Great Ecc didn’t have it all their own way though, as Fulwood scored twice to remind them they were still in the game, Atkinson and Catterson netting for the away side.